You can only imagine how Jean Nidetch felt when a neighbor mistook her weight gain for pregnancy. The insult motivated Jean to attend local weight loss clinics, but she couldn’t stick with them for long. Since then millions of women – and many men – have joined. Weight Watchers has grown into the world’s most popular diet program. As the owner of four gyms, it’s my biggest competition. I could choose to, as many people do, look down on, ignore, and even mock Weight Watchers. That would only serve to protect my ego, but it would cause my business to suffer. Instead, it’s much wiser for me to pay attention to why this program has been so successful for over five decades. Recently I did a deep dive into what makes people choose Weight Watchers, even interviewing a couple of long-term clients. I stumbled across 5 sales secrets that any entrepreneur or executive can use to improve their systems immediately. It doesn’t matter if you’re in the real estate market, if you’re a copywriter, or if you’re an employee at a large corporation, there’s gold in these nuggets. It’s so simple. You show up to a meeting. Everyone makes a big deal about it and gives you a huge welcome. You’ve already achieved reward and recognition without doing anything. You’ve been given an instant victory and now you associate Weight Watchers with positive emotions. Dopamine, the neurotransmitter associated with the feeling pleasure, floods your brain. Every time you return to a meeting you’re body will release more dopamine. It’s an addictive reward cycle that keeps you coming back. But that’s not all that happens at your first meeting. They teach you the easy-to-follow points system. The leaders also explain how important it is for you to write down everything you eat. Finally, they weigh you and tell you come back next week to weigh-in again, where they’ll hook you on another reward and recognition ritual. Click here and get your Perfect Day kit today. 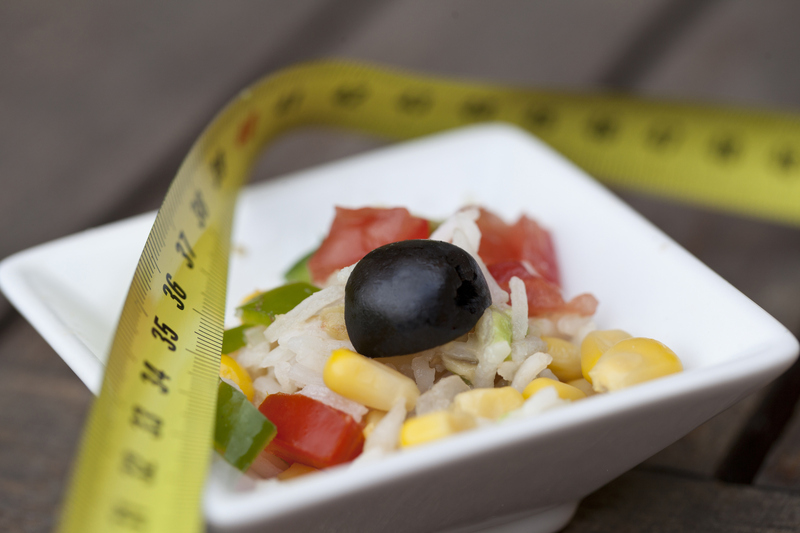 At Weight Watchers, new clients are given a moderate target goal to achieve. Lose 10% of your weight. A client weighing 150 pounds has to lose just 15 pounds to feel successful. 10-percent keychain—a token to acknowledge the milestone! Women carry around this keychain for years because it’s a symbol of the recognition they don’t get anywhere else in their life. If it’s her 5th wedding anniversary, most women are lucky to get dinner at Applebee’s. If it’s her child’s 5th birthday, no one celebrates the fact that it’s also her 5-year anniversary of going through 36 hours of labor. And so to receive the keychain after reaching her goal means the world to the Weight Watchers woman. What realistic goal can you help your customers achieve? And more importantly, how can you recognize and reward your customers? Weight Watchers knows the power of on-going education. They give a class every week. When was the last time you taught your customers anything that would help them become more successful? Do they even hear from you at all? You need to make on-going education a part of your business. Here at EarlyToRise.com we deliver free education through our daily email newsletters, through the weekly videos we add to our YouTube channel, and through the monthly success coaching calls we do with top copywriters and business owners. None of these take much work or money, but they provide immense on-going value to our clients. Add one of those to your business today. Yes, you’re a special snowflake with a loveable, huggable personality. But that’s not enough for your clients to become raving fans for life. Weight Watchers knows the secret. It’s not about the Weight Watchers instructors. It’s about the recognition ascension model of the Weight Watcher’s clients. First, as mentioned above, clients get recognized simply for joining. Second, clients get rewarded for achieving your simple goal. Third, clients can ascend the ladder to become experts within the community. Let’s say a client named Mrs. Jones comes back to her 2nd meeting with a problem. Mrs. Jones gets the power of community wisdom, and Mrs. Smith feels like a hero. How are you fostering Recognition and Reward Ascension in your business? At each weekly weigh-in Weight Watchers clients are celebrated for hitting big numbers. The top success stories become celebrities. These aspirational success stories motivate everybody else to do the right thing. This is so easy to implement in your business. We do this all the time in my Fit Body Boot Camp locations and in our Turbulence Training Transformation contests. Winners are rewarded with prizes, extra recognition, and even big cash prizes. Their stories make it into the media, and we even fly our Grand Prize Winners out to our annual Turbulence Training Summit to speak from the stage. And yes, this even works if you own a plumbing business, a real estate brokerage, or a carpet-cleaning service. People want to be rewarded and recognized, because they sure aren’t getting it at home or at work. Here’s what you can do to build up recognition amongst your customers. There are so many ways to reward, recognize, and grow your community. Weight Watchers figured this out…and you can too! Weight Watchers focuses on the engagement level of their clients, not just on signing people up to a contract. Heck, they seem to believe that engagement even matters more than results! Engagement fosters a powerful community that keeps people coming back over and over again. And let’s be honest, if we can keep people engaged in our business, it’s nearly impossible for them not to get results. Weight Watchers isn’t cutting edge, but they get results and have happy clients. Instead of looking down on Weight Watchers, let’s look INTO Weight Watchers and figure out what works. With their secrets and your expertise, you can create an even more effective program to build a connected community around your business. That’s how your company will still be making an impact and leaving a legacy in 50 years from now.